The woman meandered the woods, gathering herbs. Some were still more than available, even with the change in seasons coming near. The cloak swept the ground behind her. It wasn't so cold that the winds irritated her cheeks and ears, so her face is uncovered in cameo relief. Her long dark hair was swept back from her face in ornate combs. She carried a covered basket, and moved at a slower pace. There's something serene and timeless about the woman as she works. Even her greyed lilac eyes were quiet and calm. The little dragon sighed as she contined her wandering. She noticed the woman, settling those red eyes of hers, currently duller than normal, on her. She sat slowed her pace and tilted her head lightly at the woman. Those lavender eyes moved over the dragon, fey and knowing. She shook her head, gaze sympathetic. "The scent of heartbreak lingers over you, little dragonkind. Come speak with me, and unburden yourself. We will have tea." Aska said, her voice light. Her English is very clear, but there's the vaguest of accents in them. "These trees. they have seen sorrow. And these eyes have, as well. Come with me, little one. We will have you feeling a little better soon. Forget the man that garners tears. He is unworthy. My time has taught me." She held out her hand, to lead the small dragon through the trees. It was one of the only ways to find her home. The little dragon looked confused for a moment, as the woman spoke. Was she really that easy to read? Shaking her head lightly at herself, she found herself at ease at the woman's gaze. The sympathy was real, but she couldn't feel any judging in it. The comment about the man being unworthy put a instant of pause in her movements towards the woman. However in a few seconds Homura shifted, standing next to the woman in her human form, feeling safe. She took the woman's hand nodding softly, "Okay." "Homura-chan!!!" A girl voice is heard as the brunette suddenly glomped Homura out of nowhere. "I finally able to find you! I miss you!!!" She said, hugging homura. Aska had just wrapped an arm around Homura, beginning to lead her away. The appearance of the other girl made Aska recoil in her elegant fashion. It was one thing to choose to touch. Quite another to have it foisted upon her. Her shapely brow arched as she watched the happenings. It's fairly obvious that Aska is not leading on until something is done with the newcomer. Homura was quite shocked when she was practically tackled from behind. Her face however likely read less shocked, due the shutdown of her emotions. She looked at Yume with a smile, although it was a carefully crafted mask. Without knowing her incredibly well you wouldn't see through it. "Oh hi Yume. It's been a while." She said quietly. She tilted her head lightly as she spoke. "You were looking for me? I didn't know you were back. We should catch up sometime." She took a half step backwards, wringing her hands together softly. Yume smiles and pull her up. "Yeah i just got back 2 or maybe 5 days ago, crazy times while i was gone, i will tell you another times. So what wrong? Love problems, sweetie?" She ask, noticing her emotions is less and suggesting that it relate to love. After a min of thinking, she finally look at Aska. "OOPS! Sorry, I'm Yume Kasai, a friend of Homura. And you are?" She ask after dusting her off. Aska watched the interactions, and couldn't understand how the people of this island could be so very blind. "My name is none of your concern, and your presumptuous nature is a painful thing to witness. I will forgive your misstep, because you are very young. In love, let the aggrieved speak with you. Do not pressure them. You are making her uncomfortable. Listen and see. Find her later." Her cool lavender eyes remained on Yume's for a moment, before her arm closed around Homura, and both disappear from view. All that is left behind is the scent of jasmine and honeysuckle. And Aska's voice whispering a warning. "Be careful in my woods. They are not always hospitable." Homura had tensed up at Yume's questions. She wasn't sure how she was going to respond. As Aska wrapped her arm around her she let out a sigh of relief and gave her a grateful glance. "Thank you." she said softly. Feeling pressured into speaking would have made her spiral further into her own mind, retreating as far as she could. The woman however had a calming air about her, Homura felt safe with her. Yume was having a mixture of shock, anger, and surprise. "OI! That woman is RUDE... tsk, FINE no one wanted to see me again? FINE i will disappear." She stomped out, angry that no one is happy to see her or wanted to talk to her more after Elliot's encounter, she was really upset and now even more. She open her magic circle and jumped in, teleporting her to her garden where it smooth her mind. She smiled slightly at the girl, an almost motherly or big sisterly look. "It is no trouble, little one. Long have I been a rescuer from situations unwanted socially. Some people are simply not properly empathetic. It is shameful." They moved in a ball of dove grey light, or this is how it appeared on the inside. "I will take you back to my home. You can sit before the fire, and warm yourself. The snow and ice are not a proper temperature for you. Do you like tea, little dragon?" The woman asked softly, eyes ahead of them, as if she guided the sphere of light. Homura looked around at the light as the moved, almost captivated by it. She smiled warmly at the woman, feeling fairly comfortable with her. The mention of warmth and sitting by a fire, made her realize how cold it had been. The prospect of warming herself, was more than a welcome one. This woman seemed to instincitively know this. A quick nod in response to her question, "I do like tea." she said happily. A quick thought crossed her mind. "I realize I haven't told you my name. I'm Homura." she said warmly, she certainly didn't want to be rude to the woman who was being so kind. Not that she minded being called little dragon. Another smile, one that reached her eyes and warmed them in expression, though not in color. 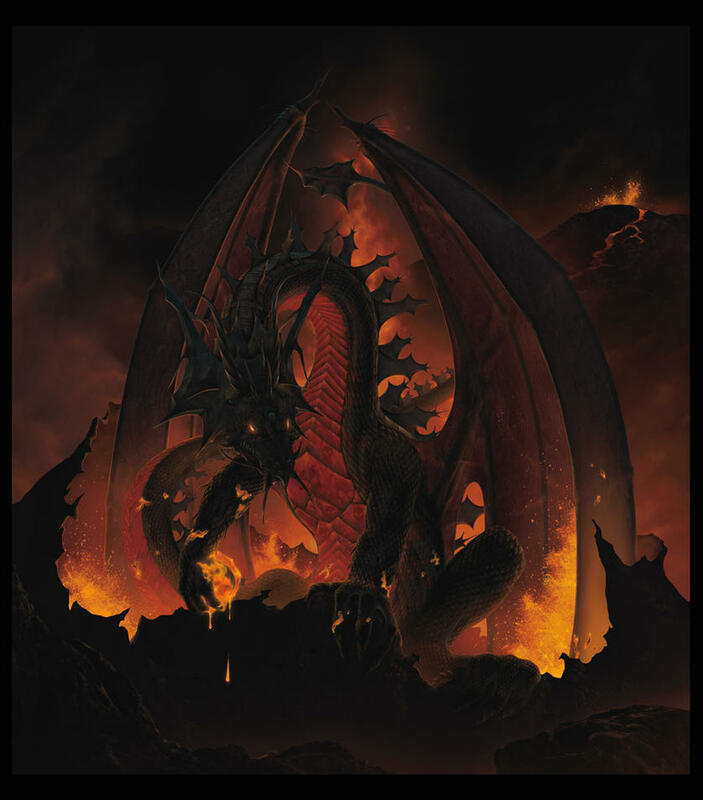 "Homura is a befitting name for a dragon born of flame. I am Aska. We will get you warm very soon. My home is not far now." From the corner of her eye, she watched the dragon be absolutely entranced by the swirling light, and smiled slightly again. "Tell me, Homura. Do you play music? Do you dance, little one?" The priestess asked quietly, curiously. Homura smiled brightly, "It's very nice to meet you Aska." A warm expression crept into Homura's eyes as the woman commented on her name, and let the prospect of warmth be coming soon. Even though she was fully paying attention to Aska her ruby eyes would wander every so often to the swirling lights again. She tiled her head lightly at the questions asked. "Do I play music? I haven't been able to learn much in the way of instruments. I do enjoying singing very much though. I've always found it soothing. I like to dance, but it's often when no one is watching." She grinned sheepishly.